Toasting pumpkin seeds brings out the natural nutty essence that marries perfectly with the savory spice of cinnamon, nutmeg, ginger and clove. The crispy crust not only adds a wonderful texture but locks in all that delicious juiciness. The sauce brings a wonderful complement to this simple and scrumptious fall favorite. Give yourself an hour or so to prepare this taste bud rewarding recipe and this quantity will serve you and five others who obviously love your cooking! Enjoy with a Southern Tier “Pumking”. Blend all the dry ingredients together to make the crust. Press the chicken into the crust and coat the fillets. In a heavy bottom frying pan or a cast iron skillet heat the oil over medium high heat for 1-2 minutes. Carefully place the chicken fillets into the hot oil and evenly brown them on both sides. Check the temperature with a meat thermometer. Cook the chicken to 165 degrees. Place the cooked chicken on a tray with paper towel to drain and rest for 30 seconds. If necessary heat more oil in the pan and cook any remaining chicken. Serve hot with the Imperial Pumpkin Ale and Spiced Applejack Sauce. If this sauce doesn’t scream autumn than nothing does! I enjoy pumpkin beers all year long but typically consider them more flavor friendly to my autumn and winter preparations. I add the Applejack liquor or hard apple cider (if you can find some) and the high gravity Imperial pumpkin ale in the beginning to cook off the alcohol and create a sweet foundation and backbone for the sauce. 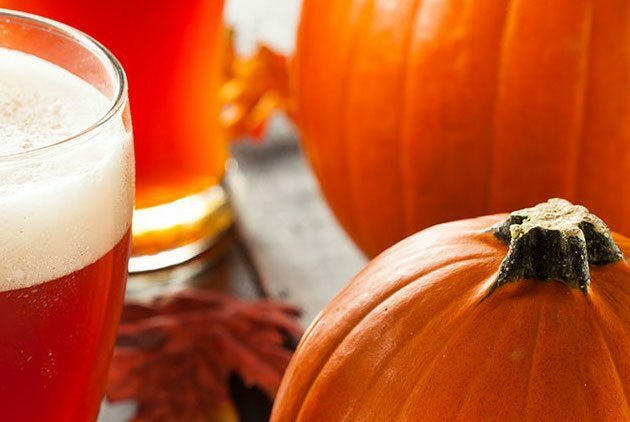 For this recipe I have chosen the bold flavors and balanced nuances of spice found in one of my favorite autumn brews, the Imperial “Pumking” Ale from the Southern Tier Brewery. Slowly cooking down the leeks adds a wonderful depth to the sauce while the thyme brings on an earthy dimension. A little pumpkin puree enhances the flavor of the ale as well as gives body to the sauce. Whisking in a touch of fresh apple cider gives the sauce a bright finish. I serve this sauce with Pan Roasted Chicken Fillets in a Spiced Pumpkin Seed Crust or Beer Mustard and Pretzel Crusted Pork Roast. This quantity will yield plenty of sauce for six and will take about 30 minutes to prepare. Risotto is a classic regional Italian dish from Northern Italy made from rice particularly Arborio rice. Risotto in one form or another has been a staple on restaurant menus and home kitchen tables for centuries. Preparing a perfect creamy risotto is more about technique and understanding the process than anything else and only requires a few basic ingredients and patience is definitely one of them. Risotto is a virtual palette for a cook to create upon. For this Brew Chef rendition we are incorporating roasted pumpkin puree, fermented black garlic and a very unique Imperial Pumpkin Ale from the Wicked Weed Brewery located in Asheville, NC. “Xibalba” with her subtle spiciness and complex chocolate and coffee undertones work perfectly in this risotto. Feel free to incorporate your favorite pumpkin ale. The grilled green onions and wild mushrooms add a wonderful contrast of flavor, color and texture. A touch of goat cheese and a sprinkle of toasted pumpkin seeds truly round off this recipe. 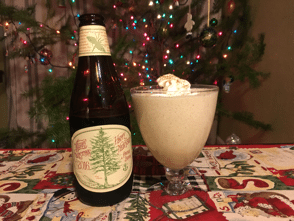 Give yourself a couple hours to prepare this delicious beer enhanced favorite. This recipe will serve six guests as a vegetarian friendly appetizer or accompaniment. Enjoy with a Wicked Weed “Xibalba”. In a heavy bottom sauté pan heat the oil and 3 tablespoons of butter over medium high heat for 30 seconds. Add the shallot stir and cook for 30 seconds. Stir in the rice to coat and lightly toast for 1 minute. Pour in 6 ounces of warm beer and stir to incorporate for 30 seconds. Add the hot broth 4 ounces at a time until full incorporated. Add remaining ingredients including the reserved butter and beer (except pumpkin seeds and goat cheese) stir and simmer for 30 seconds. Finish by sprinkling on the seeds and cheese. Serve immediately. The rich creaminess topped with a layer of sweet crunchiness makes this decadent custard dessert timeless. Vanilla is the traditional flavor although variations including savory renditions are endless. For this creation we are incorporating a delicious pumpkin ale fondly donned “Pumpkin Patch” from the brewers of Rogue located in Oregon. This beer has wonderful savory nuances of pumpkin pie spice, vanilla and orange peel which only accents the flavor from the local pumpkins used in the brewing process. The perfect complement in as well as paired with this irresistible dessert. Give yourself 30 minutes to prepare the custards and two hours to let chill and set. This quantity makes six 6-oz servings. Preheat oven to 325º. Pour the cream, beer, sugar, pumpkin, vanilla beans and spice in a heavy bottom 2-quart pot, whisk and bring the mixture to a slow simmer. In a bowl whisk the yolks until smooth. Remove the cream mixture from the heat and using a ladle slowly whisk in the yolks until fully incorporated. Return the mixture to medium heat and whisk constantly for one minute being careful not to let the eggs curdle. Place a towel in the bottom of a pan with sides. Place the 6 ounce shallow dishes on the towel and fill the dishes with the mixture. Add hot water to the pan to just under the level of the dishes and place the pan into the middle rack of the oven. Bake the custards for 30 minutes. They should still be a bit giggly but will set when chilled. 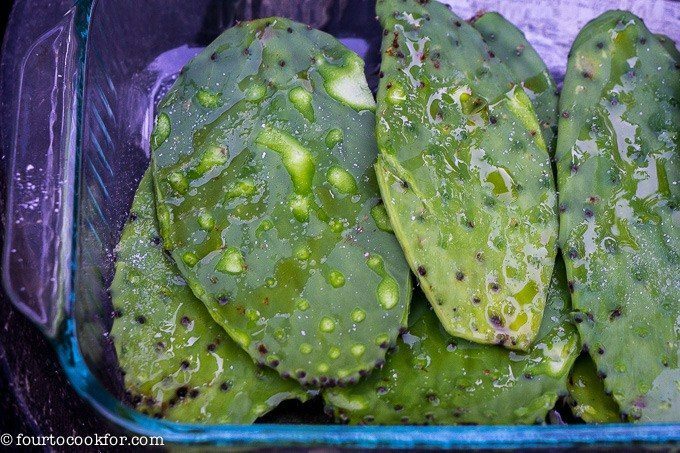 Remove the custards and place them on a tray and put in the refrigerator to chill and set for 2 hours. Sprinkle the remaining sugar evenly over each custard. Using a blow torch, carefully burn the sugar in a circular motion from about 4 inches away to create an even crust. Let the sugar set for 1 minute. Serve at room temperature. Brew Chef Hint. Place the scraped vanilla bean in a container of sugar to make vanilla scented sugar. If vanilla bean is unavailable substitute 1 tablespoon pure vanilla extract.